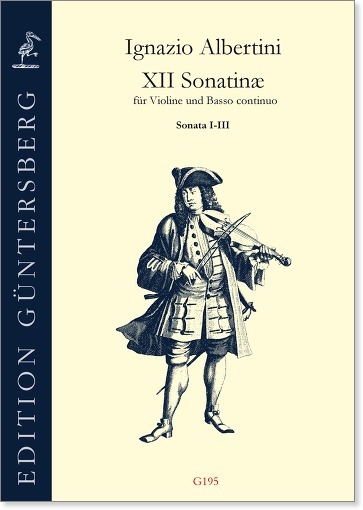 Of the works of Ignazio Albertini - a contemporary of Schmelzer and Biber - only a single collection of sonatas, these Sonatinæ XII, has been preserved. They are in the tradition and characteristic tonal language of the South-German-Austrian violin virtuosi, but distinguish themselves with rather daring harmonic turns. 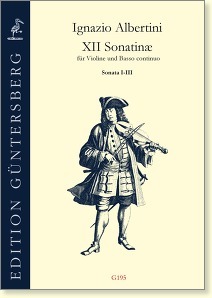 The structure, partly made up of short sections with numerous changes of meter, is typical of the solo music of the late seventeenth century. The level of difficulty varies.